Members of the Fightin' Texas Aggie Band march onto Kyle Field for the halftime show of the Texas A&M-Missouri game in College Station on Saturday, Oct. 16, 2010. 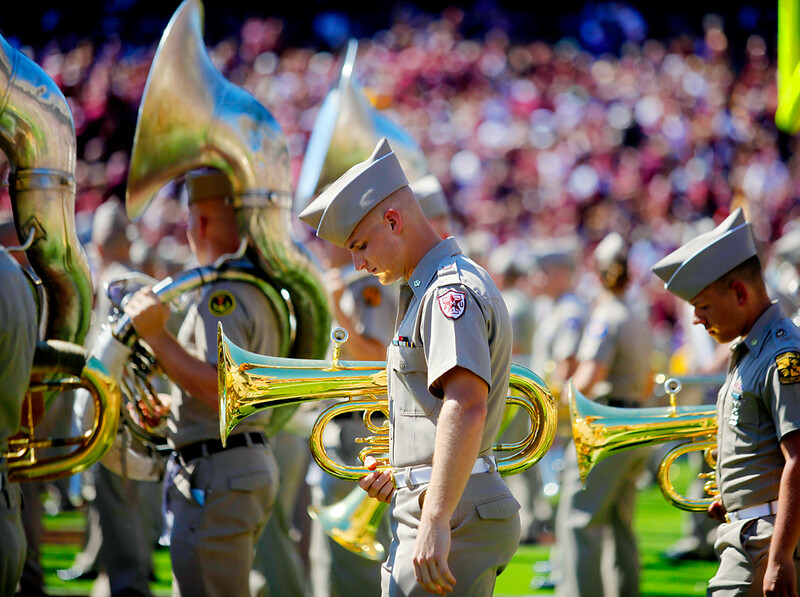 With about 400 musicians -- all of whom are members of the Texas A&M Corps of Cadets -- the band is the largest military marching band in the world. That said, it wasn’t entirely a walk in the park. Jeff and I knew the harsh shadows would present a problem, and my tan lines became just a little more ridiculous. 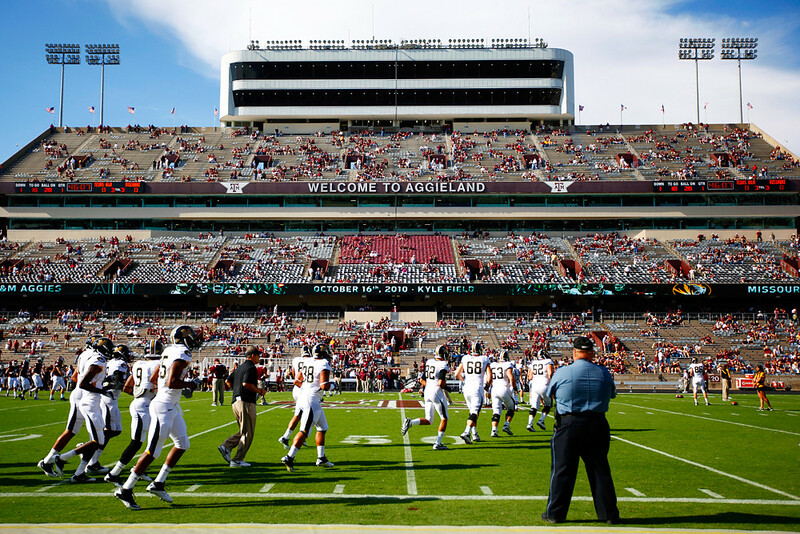 Plus, the thundering yells from the Aggie stands were deafening and made me wonder if the Missouri players would balk in intimidation of the 80,000+ crowd. But they didn’t. 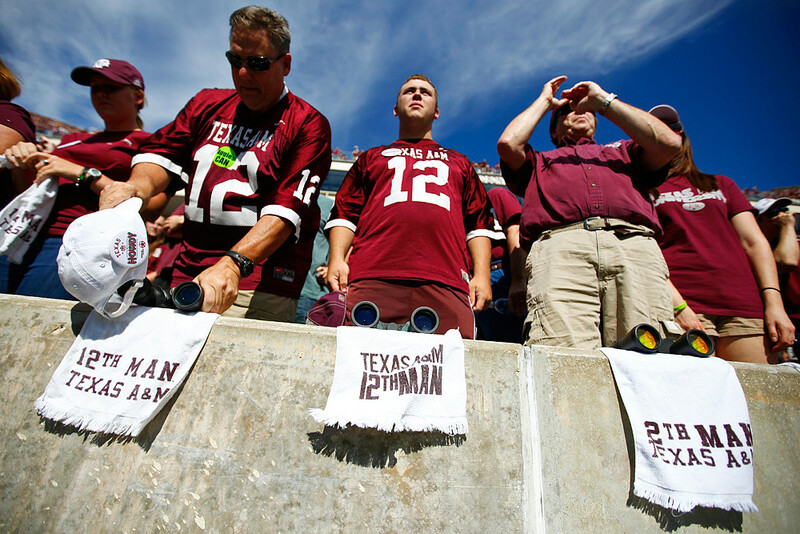 The Tiger defense didn’t allow an Aggie touchdown until the fourth quarter, by which point the Tigers had already won 30 points. Final score? 30-9. 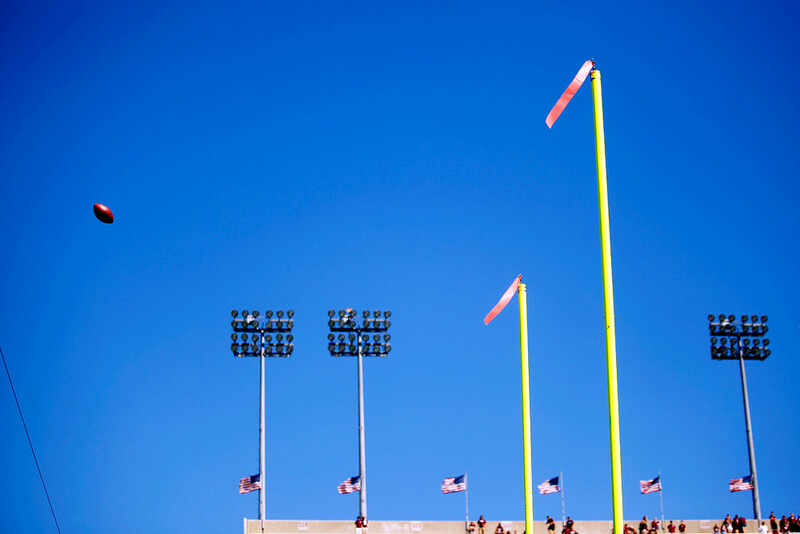 The ball, kicked by Missouri redshirt junior placekicker Grant Ressel, is good for Missouri's last point against Texas A&M at Kyle Field on Saturday, Oct. 16, 2010. Gorgeous work! Congrats on the new camera.